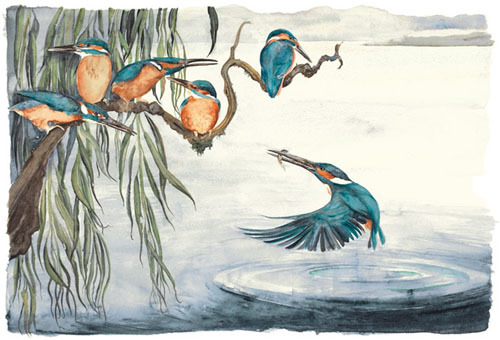 The exquisite illustrations to The Lost Words - a spell book that seeks to conjure the near-lost magic, beauty and strangeness of the nature that surrounds us - each print is signed by both the artist Jackie Morris and the author Robert McFarlane. Taking the form of twenty ‘lost’ words, collected alphabetically from ‘Acorn’ to ‘Wren’ each word becomes a spell - written by Robert Macfarlane, which is intended to be read aloud. 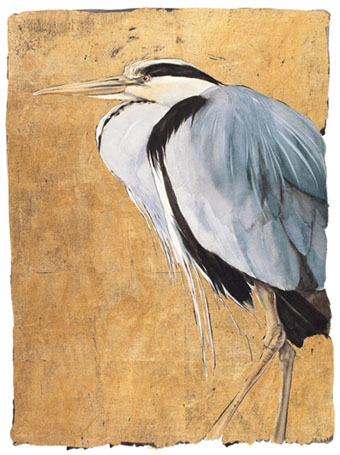 The images - painted by Jackie Morris, capture first the absence of the plant or creature within its habitat and then its return. The spell summons the image and the word back into being, making this a book of enchantment in more than one sense. The virtual world is moving decisively to the centre of modern childhood experience. A research paper by Cambridge University conservationists found that 8- to 11- year-old school children were ‘substantially better’ at identifying common Pokemon characters than common species of British wildlife. This is not surprising when a 2016 survey showed that three-quarters of British children spend less time outdoors than prisoners do. And while children’s knowledge and experience of nature is being lost, we’re also undergoing a drastic decline of species and habitat in the UK. 53% of species in the UK are in decline, but 52% of the British public are unaware of it. It is this situation Robert Macfarlane and Jackie Morris seek to address with their unique book, bringing back an experience of nature as astonishing, strange, beautiful, eerie, and magical. Please call or email Julian Thomas if you are interested in more than one of these superb works to secure the same edition number and quantity price.